Enjoy indoor snow ball fights! 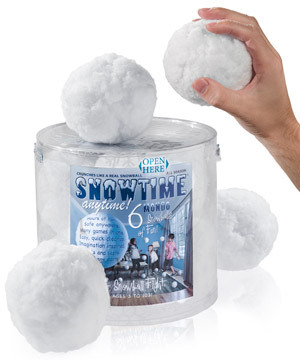 Engage in snowball warfare anytime with Snowtime Indoor Snowballs. Made from a cotton-like synthetic fibrous material, Snowtime Snowballs are soft and dry, but feel like crunchy, densely-packed snow. 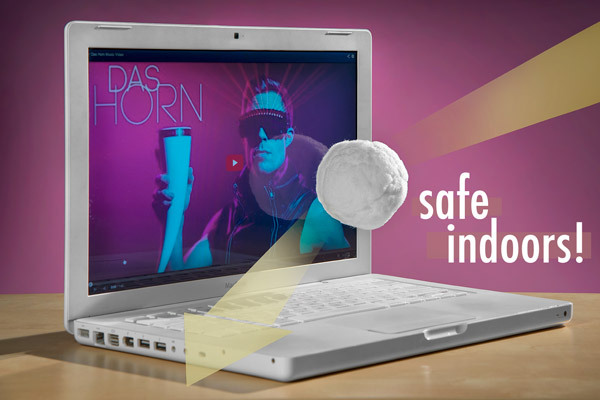 Soft enough to be safely used indoors, Snowtime Snowballs are also heavy enough to be thrown fast and straight while harmlessly bouncing off your valuables. 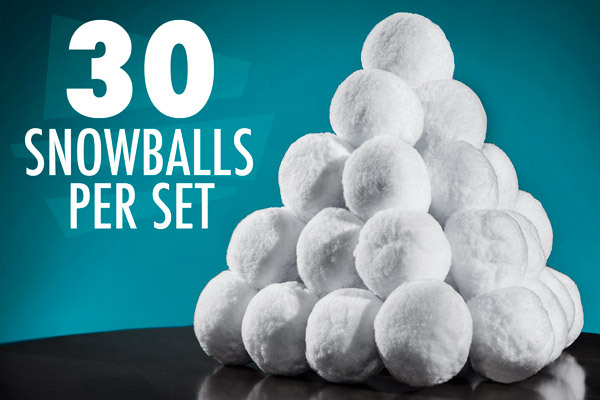 Each pack of Snowtime Snowballs includes 30 balls. Each pack of Mondo Snowballs includes 6 extra large balls. Each Snow Shield pack includes two inflatable shields and 6 regular-sized snowballs. 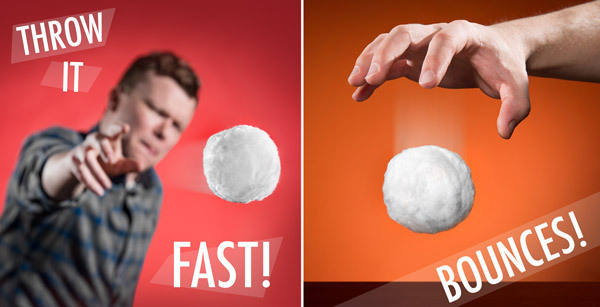 Enjoy pelting family and friends with synthetic Snowtime Snowballs. 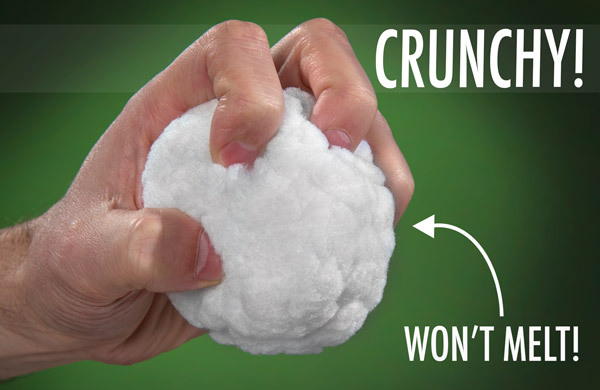 Made from cotton-soft fibrous material, Snowtime Snowballs are fun to throw, but 100% harmless. Choose your weapon of choice with the regular Snowtime Snowballs or go big with the Mondo Snowballs. You also might want to protect yourself from the onslaught with the Snow Shields. 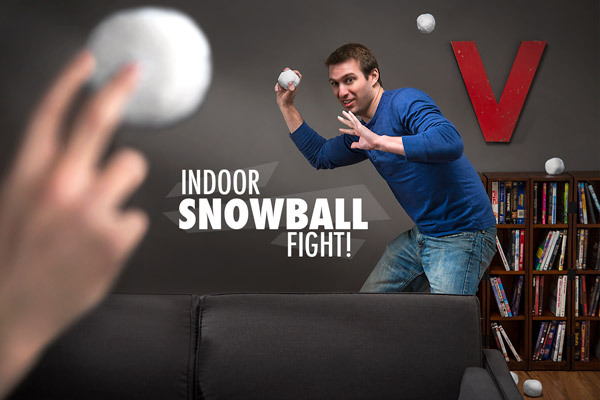 Enjoy indoor snowball warfare with Snowtime Indoor Snowballs. Wage indoor snowball warfare anytime with Snowtime Snowballs. Although each snowball feels like crunchy compact snow, they are completely dry and won't melt. Snowtime Snowballs are satisfyingly crunchy. You may think that a soft ball made from cotton-like fibers would be difficult to throw, as if it would be like trying to throw a cloud of cotton. Not so! Snowtime Snowballs have just the right amount of weight. 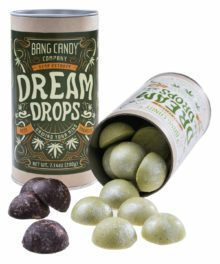 You can fling them fast and hard, and they even bounce. Snowtime Snowballs are heavy enough to fling fast and dense enough to bounce. We realize we just finished telling you how Snowtime Snowballs are dense enough for bouncing and heavy enough for high velocity throwing, but we can assure you that they won't break your stuff! The manufacturer simply designed them correctly. They're heavy and compact enough to throw, but not so rigid as to be dangerous indoors. Even the Mondo Snowballs are safe and harmless. 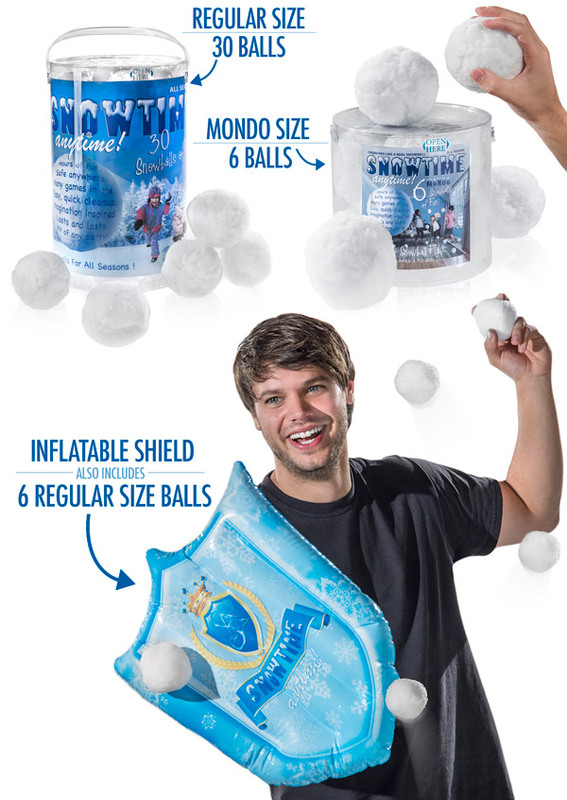 Each set of regular size Snowtime Snowballs includes 30 snowballs; the Mondo size set includes 6 (much larger!) snowballs. When real snow falls outside there are many ways to play with the powdery white ice. Snowtime Indoor Snowballs also give you several ways to play. Choose from a large bucket of 30 snowballs (3" diameter), a bucket of 6 extra large mondo snowballs (4" diameter), and an inflatable snow shield (with a six-pack of regular size snowballs) for the ultimate battle. Three options for indoor snowball fight fun! Question: Are they cold or wet? Answer: Nope! Snowtime Snowballs are perfect for indoor use. Despite being completely dry and made from a cotton-like fibrous material, Snowtime Snowballs share many of the characteristics of actual snowballs. 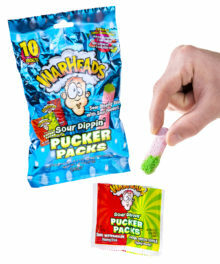 They're crunchy and can be hurled fast and hard. However, if you get hit in the face, you'll just laugh it off. Question: Do they hurt if you get hit? Answer: Not at all. In our tests, we pegged a four year old girl in the face from a few feet away and she giggled as if nothing had happened. 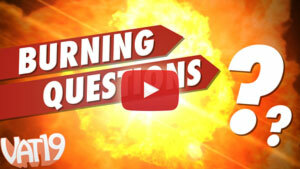 Question: Is it just a big cotton ball? Answer: Not at all! Cotton balls are so lightweight that they cannot be slung accurately. Snowtime Snowballs are fun and easy to throw. 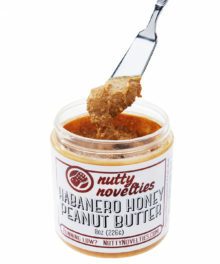 They feel crunchy when squeezed and won't damage your valuables. 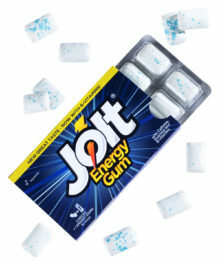 They're pretty much pure awesome. So, buy, buy, buy!